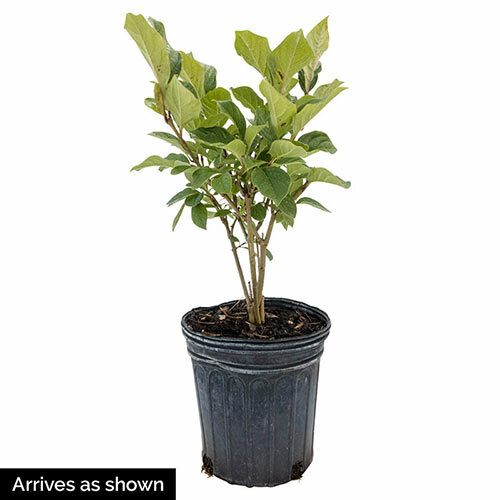 A favorite choice for smaller spaces. Growing just 4-9 ft. tall with a 5-7 ft. spread, Miss Kim Lilac blooms in the springtime, perfuming the air with a sweet fragrance. The lavender to blue flower clusters are stunning in the garden and cut-flower arrangements. Its dark green leaves turn burgundy in the fall. Grows best when planted in full sun. Attracts hummingbirds and butterflies. Deer tend to avoid. Available in a gallon pot and shipping now. Potted. Zones 3-8. FoliageDeciduous, elliptic, acuminate leaves 2-5 inches long, 1/2-2 inches wide. Green foliage turns burgundy in fall. Flower Form4-6-inch long, loose lilac-purple single flowers. Panicles often grow in pairs. ColorRich purple-pink buds burst open, revealing gorgeous lavender flower panicles. Soil RequirementsWell-drained, average soil. Does not like areas that retain water. Does not like wet soil. Growth RateSlow to medium once established, which takes approximatley 6- 8 weeks. PruningRemove suckers that grow from the base of the plant. After flowering in spring, remove spent flowerheads and damaged branches to keep the plant clean, and prune to maintain the desired shape. CommentsLovely fragrance in a compact, full shrub! 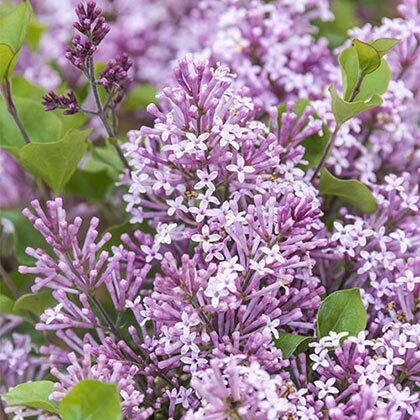 Single, delicate clusters of purple flowers produce a powerful fragrance your neighbors will envy. Growing to a height of 4-5 feet, this shrub maintains a compact habit, making it perfect for any garden. It is an excellent, hardy and trouble-free standard well-suited for tight areas.